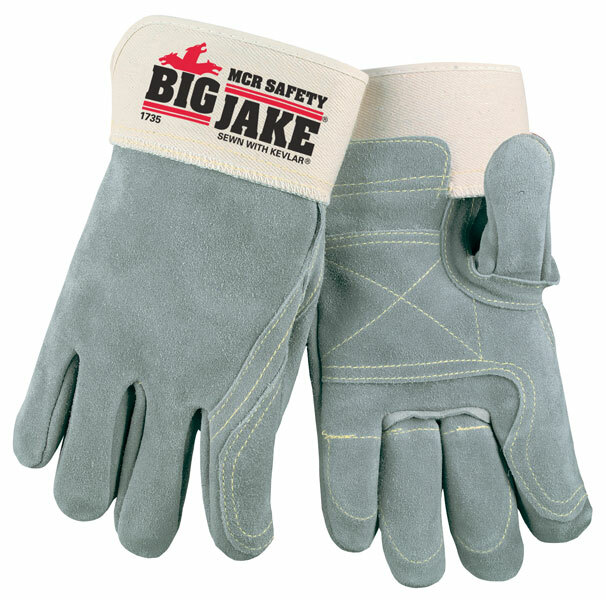 Lumber Jake® Double Palm gloves are true double palms. The 1735 is made with two layers of select side split cowhide leather in the palm and fingers with a reinforced thumb crotch and a full leather back. Sewn with super-strong, heat resistant DuPont Kevlar® thread for the toughest jobs. It also features an 8 oz. jersey palm lining, 9 oz. cotton canvas back, and a 2.75" rubberized safety cuff. Just Try To Outwork these gloves!